DIY is a popular way for householders to save money, and you can often make the task easier with a few well-chosen shortcuts. When it comes to your bathroom, though, there are some shortcuts you should seek to avoid, as they can end up costing you a lot more. 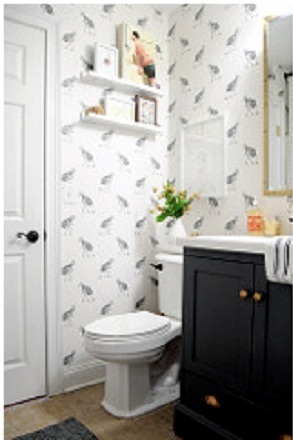 Failure to plan the work properly is probably the leading cause of problems with bathrooms. You can take poor planning to extremes, but even simple errors in preparation can lead to problems. Not preparing properly before fixing wall or floor tiles is one of the most common mistakes. If you don’t ensure that surfaces are clean and level before starting, you’ll end up with cracking in the adhesive and grout and even with tiles cracking or lifting over time. If you’re giving an existing bathroom a bit of a spruce-up, it’s tempting to take a shortcut by simply applying some new sealant over older cracked seals. This can be a bad move, as the new sealant is unlikely to stick properly and won’t create a good seal. The proper thing to do is use a silicone sealant remover to get rid of all traces of the old sealant. This will ensure that you get a good seal when applying the new layer. You can get silicone sealant remover from www.ct1ltd and other suppliers. One of the most common mistakes DIYers make in fitting bathrooms is to get the angle of pipe runs incorrect so that water doesn’t drain properly from the bath, basin or shower. Drain pipes these days are usually plastic, which makes them easy to work with, but it’s important that they’re installed correctly. All drains need a trap; this retains water at the bottom to prevent odours from the drains coming back into the house. From there the pipe run needs to be planned so that it falls away to the main downpipe. This will usually be in a corner of the bathroom and leads down to the main drain as well as up to a vent on the roof to prevent smells. To ensure that your shower or bath will drain freely, the pipe needs to fall at around quarter of an inch per foot.